Got a Fence ? let Us Cover It ! Custom Colors, Custom Shapes, Custom Sizes. We offer a complete line of high quality, durable and custom designed fence screens that can be tailored to the need of any project. Fence screens mesh covers are manufactured to provide privacy, protection and security without compromising your fence's integrity. Custom sizes and designs are available, offering protection against harmful ultraviolet (UV) rays, wind and other climate factors. Our full line of standard and custom mesh banners have been used at residences, resorts, hotels, swimming pools, high-rise construction sites and more. No matter what size, color or fabric you desire, our fence specialists have you covered. Send us your custom image, logo or any other high resolution graphic and we will print it on our commercial grade, waterproof mesh fence screen. Simply follow easy steps to customize your own fence screen and get an instant price quote now. 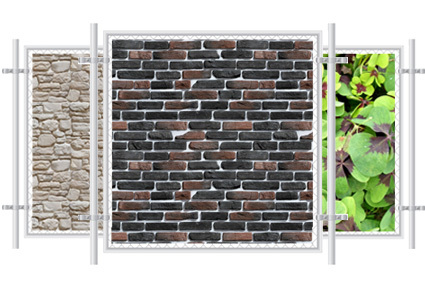 Select one of our pre-printed mesh fabrics and transform your fence to garden, brick wall or even to a sunny skies. 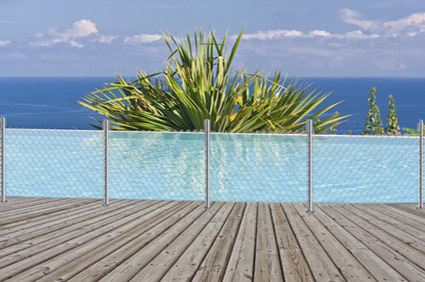 We offer a large variety of pre-printed UV resistant and waterproof fence screens. UV and water resistant, 100% polyethylene knitted mesh privacy windscreens. The most cost effective solution to provide privacy and protection. Used in commercial or residential sites. 85%, 88%, 90% visibility blockage. 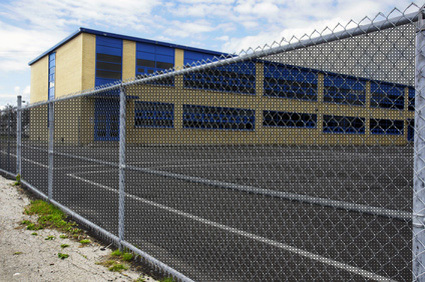 Our solid 16 oz heavy duty PVC vinyl fence screens provide 100% blockage from outside view. Ideal for high quality full color printing. Select this option to have long lasting fade and UV resistant fence screen in the industry. Our PVC mesh fence screens are ideal for projects where you need both protection and maximum unobstructed view at the same time. Ideal for tennis courts, baseball fields and chain link fences. 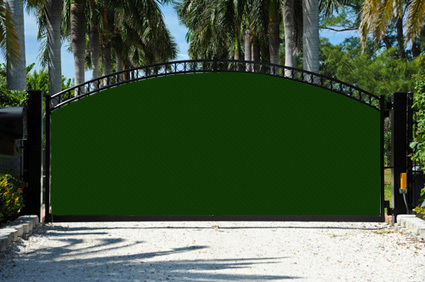 The largest selection of fence covers ! FenceScreenDepot.com offers one stop shopping for any type of fence screen. Here you can find wide range of products such as custom printed fence screens, privacy mesh windscreens, construction mesh tarps, sun shade covers and more. Our products are used in commercial as well as residential areas. Fence Screen Depot offers privacy and protection solutions for tennis courts, home backyards, contraction areas, fence barriers and more. In addition to offering custom height and width we also offer custom shaped windscreens for those who need to cover irregular areas for their project. Whether it's square, triangle or zigzag we can do it all. Additionally, you can further customize your screen to have your logo or artwork printed on it. #1 Source for Custom Printed Mesh Fence Screens !